It is thought that the graph shown on this page may well be at the core of the aerosol operations. 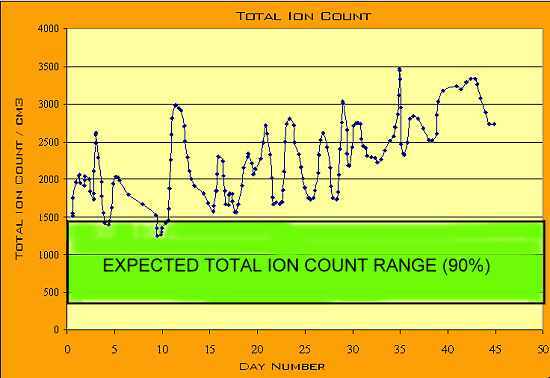 This graph shows direct ion measurements in combination with historical humidity data during the past month. The graph shows what appear to be highly favored conditions for the conduct of the aerosol operations or the transport of aerosol banks within a region. Aerosol operations are being staged at specific times of low humidity and low negative ion count. These two tenets, that of humidity association and ionic manipulation, have been at the foundation of the aerosol research since the early days of investigation. It seems quite fair to state at this stage that the balances of nature are being upset with artificial methods that threaten the viability of life on this planet. 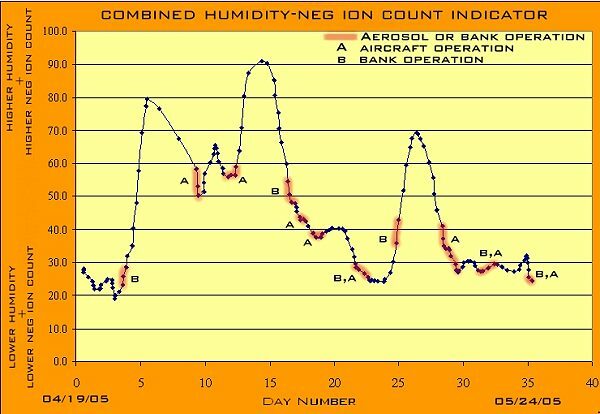 A very general interpretation of the current data can be made as follows: Low humidity is a period of relatively low moisture in the atmosphere. A low negative ion count is also generally indicative of lower moisture levels in the atmosphere. The research indicates that both of these variables, taken together, serve to indicate likely periods of aircraft aerosol or aerosol bank operations. This finding may appear to be in contradiction to the humidity conditions that have been associated with the operations, but in reality they are not contradictory in any fashion. The abysmal failure of governments to serve the duty of stopping the directed aerosol and biological operations upon the planet's populace necessitates an appeal here for high level research and activism in numerous scientific and social disciplines by independent professionals. The areas of concern regarding these aerosol programs at this time include, but are not limited to, the geophysical energy implications of a changing earth momentum from such operations; solar energy influx and artificial energy sources of great magnitude, such as the HAARP (High Frequency Active Auroral Research Program) facility; and biological effects on living organisms. Considering the utter failure on the part of governments to even acknowledge these programs and their disastrous effects on the planet, it is required that independent, private and non-profit interests assume the role of investigating, researching, and alerting the world's population when a case for environmental and biological peril exists. It is not wise to think that unlimited time for organization of these efforts exists, and that there will be no consequence if the operations do not cease. A detailed statistical analysis of time over a period of four months presented in this paper continues to support the hypothesis of an earth in a state of deceleration. The magnitude of the deceleration, if confirmed, is sufficient to anticipate unusual geophysical activity in the foreseeable future. Small changes in time will translate to large changes in the kinetic energy of the earth. One second of time change per year corresponds roughly to the energy contained within all of the fossil fuels of the earth. The magnitude of the deceleration is currently best estimated at approximately 0.3 milliseconds per day. Any deceleration component of rotation of the earth is to be regarded with the greatest of interest, as an apparent small acceleration (deceleration) will result in significant velocity differentials and accumulated time differentials over a relatively short period of time if sustained. A deceleration component of 0.3 milliseconds per day will result in a velocity change of approximately 0.1 seconds per day at the end of a one year period. This same deceleration component would lead to an accumulated difference of approximately 20 seconds of time after a one year period. These are phenomenal magnitudes relative to any historical basis that is available. This paper is to provide notice that all data collected thus far during the last four months continues to support the existence of anomalous time variations, and subsequently, anomalous earth rotational changes. Efforts are now directed towards the detection of an acceleration component (actually, a deceleration). All data collected thus far continues to support the hypothesis of the existence of the slowing of the rate of rotation of the earth. Readers may wish to refer to the following Carnicom papers previously released addressing earlier considerations of this subject: ’TIME’ (dated July 24, 2003), ’TIME TO START WATCHING TIME’ (dated August 14, 2003), ’TIME, ENERGY and EARTH CHANGES’ (dated August 26, 2003), and ’THE WAISTLINE OF ROTATION’ (dated September 14, 2003). This paper is a continuation of the previous Carnicom work titled ’TIME’ (dated July 24, 2003). In that paper it was determined that the rotational speed of the earth had increased around late 1998 and that increase was a significant deviation from historical norm. One addition noted in this present paper is that another 0.5 seconds was added to the rotational speed of the earth, or Coordinated Universal Time (UTC) between 09:30 MDT on August 16, 2003 and 12:00 MDT on August 17, 2003. This is significant and begs for more research to be done by others to monitor these changes. A second update to the original ’TIME’ paper details that a drift rate analysis of the independent time standard that has been developed now shows a departure of 1.5 seconds over a period of 57 days since the monitoring of time standards began. This indicates the detection of another 0.5 second additional departure since Aug 17 2003. A projection of the current time departure rate is estimated at 9.5 seconds per year; a departure of this magnitude is phenomenal in magnitude if these observations bear out in the future. A one second departure (approximately) over a year period is expected based upon the historical record. A careful monitoring of geophysical events and changes is recommended based upon this preliminary report, as unusual changes in time will likely correlate with significant geophysical energy releases. 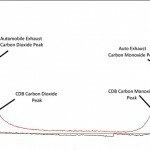 There appears to be an increasingly obvious connection between the existence of aerosol banks close to ground level, the existence of extreme variations in local magnetic field intensity, and the existence of highly pulsed VLF data. 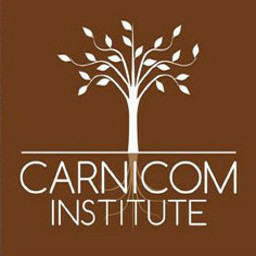 This paper outlines existing theories and new ones, and shows the continuing correlations among these theories with observations and data collected during Carnicom’s experiments. Graphics shown on this page are the result of testing done on April 5, 2003, and give the reader an idea of how anomalous the magnetic and VLF readings were throughout the day in direct connection with these lowered aerosol banks and increased winds. The presence of lowered aerosol banks appears to be increasingly important toward the capture of this data. There is also an increasing likelihood that the existence of these pulses is associated with sunlight. Such pulses have yet to be captured under periods of darkness or extensive cloud cover. The direction from which the maximum Very Low Frequency-Extremely Low Frequency (VLF-ELF) originates has been verified from testing done in Santa Fe, New Mexico. This direction is in accordance with the expectation that the magnetic field lines of the earth are the primary carriers of this energy. Using a measurement test with a loop directional antenna, the results show that the maximum level of energy is received by the antenna in the direction from magnetic north to magnetic south. The test setup for this experiment is included in this paper. The following statement from the 1987 patent by Bernard Eastlund, generally regarded as an accurate template for the HAARP project, is presented as being especially relevant to the above finding: “This invention related to a method and apparatus for altering at least one selected region normally existing above the earth’s surface and more particularly related to a method and apparatus for altering said at least one region by initially transmitting electromagnetic radiation from the earth’s surface essentially parallel to and along naturally-occurring, divergent magnetic field lines which extend from the earth’s surface through the region or regions to be altered.” A knowledge of cyclotronic resonance (especially of physiologically important ions), circular polarization and HAARP technology will be of increasing importance to understand in relation to the aerosol operations. 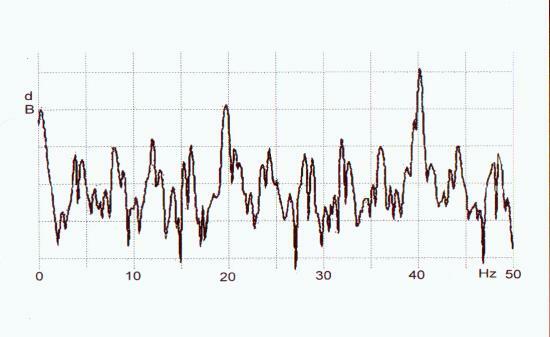 Very Low Frequency (VLF) pulse data has been captured and logged on March 23, 2003 using Carnicom’s ELF circuit from previous experiments. These VLF frequencies operate at 1KHz-34KHz in the radio spectrum. 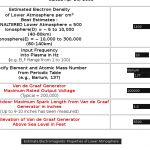 Images of the frequencies observed and logged are attached to this page. The graphing of these frequencies appears to indicate either harmonics and/or using a mixing of signals being factors in the existence of these VLF signals. The Executive Summary from a HAARP document is referenced, with a link to this summary. The spectrum of Extremely Low Frequency (ELF) signals has now been identified at multiples of 4Hz with the use of a digital spectrum analyzer/oscilloscope. The graph presented on this page was obtained with several significant modifications to the ELF circuit that has been described in the past few Carnicom papers, namely the paper titled ELF CIRCUIT DESIGN (dated January 26, 2003) with modifications that are discussed here and will be described further in a future paper. It was observed that the power of the signal being received is clearly of artificial origin and occurs at multiples of 4Hz. These frequencies occur in the range of the primary electromagnetic activity of the human brain. Research is currently underway to determine the direction (and eventual location) of the signals that are being generated and to which the populace is subject. Additional information on the directional parallel resonant loop antenna and the additional amplifier circuit will be forthcoming. It is requested that citizens across the nation and/or globe construct the circuit as it has been developed to assist in determining the origin of the signals through triangulation. Modifications for further enhancement are also welcomed. All citizens are requested and advised to become familiar with the paper written by Dennis Papadopoulos from the Physics Department at the University of Maryland titled “Satellite Threat Due to High Altitude Nuclear Detonations” (link below). This paper outlines a method that employs the use of Extremely Low Frequency(ELF) waves from the HAARP transmitter as a means to protect satellites from the effects of nuclear explosions at altitude. All constituents of this system are identified as primary research topics of the aerosol operations.